We didn’t mention that for this kind of bracelet we usually bake it at least four times (base, colors/blends, black borders, textures) with sanding in between, but we believe it’s worth the effort. It naturally became our signature style. This one has similar colors than previous one, but since it’s thicker it was left open – without button/buckle to hold it together. 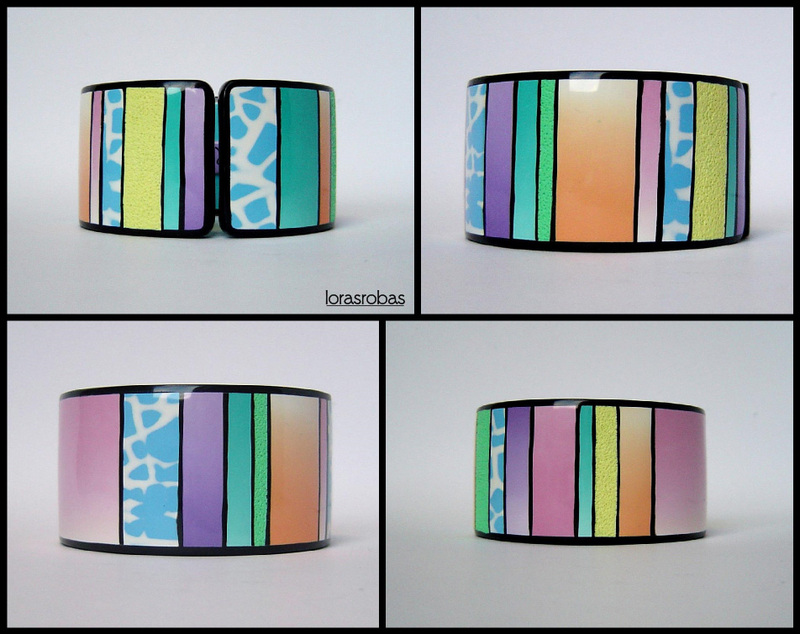 Tagged bangle, multi-colored, polymer clay, skinner blend, stamp, texture.